Rest is crucial to helping your body recovery after workouts. And when it comes to taking care of yourself, one very often overlooked area is sleep even though this is crucial to your weight loss success. I don’t know about you, but I can’t imagine being able to sleep more than I do with so much to do! Sleep is important to your mental and physical health. When you’re sleeping, your body is essentially in recovery mode. And as food and water are essential to life, lack of sleep can literally kill you. That is just how important it is. Crazy as it seems, it’s true. That’s because there are many processes that happen while your body rests in slumber. Scientist believe your brain literally stores information while you sleep, sort of filing it away like a storage cabinet. Hormones that affect our body weight are regulated during sleep. This includes the hormones that regulate our digestion to allow us to properly absorb nutrients. Mental cloudiness and fatigue are caused by a lack of sleep. Your risk of moodiness, lack of attention and irritability increase when you don’t get enough sleep. Your cardiovascular health is greatly affected by your sleep because when you’re sleeping, your body is healing your heart and blood vessels – not just your muscles and mind. As you can see, sleep is linked to every living tissue, every process and every organ in the human body. Now let’s take a closer look at how it affects our weight. Greater portion sizes. Not sleeping enough leads to an increase in the amount of calories eaten over a set period of time. It also increases cravings for foods that hinder weight loss efforts. 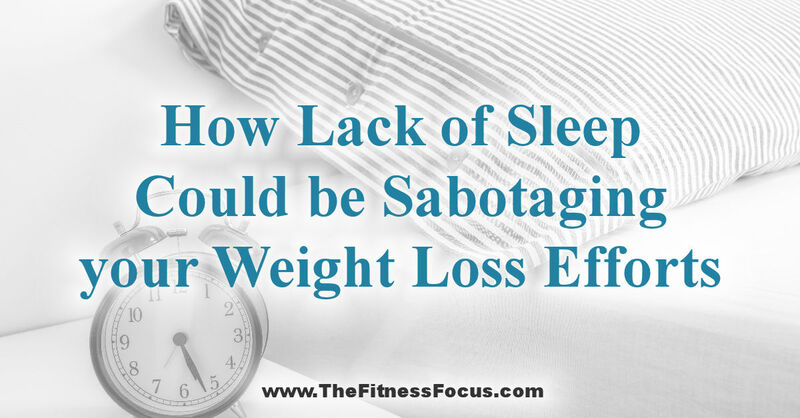 Sleeping 7+ hours per night increased weight loss success by 33%. Adults 26-64 years old should optimally sleep 7-9 hours each night. Less than 6 hours a night or more than 10 can negatively impact your health. From reading Hal Elrod’s Miracle Morning, my new morning routine has not only changed my mornings but also how productive and how much happier I feel throughout the day. The book also goes a little bit into how to set up your evenings to conquer your tomorrows, but I wanted more. You need to reduce your exposure to blue light from electronics. That means no kindle, no TV, no computer monitor, and no cell phone unless you have the blue light filter. You could even wear blue light reducing glasses if you really couldn’t live without these things. Being better prepared for tomorrow can reduce your stress. Write down a list of the 3 most important tasks you have to do tomorrow. This will alleviate any anxiety if you happen to wake up in the middle of the night. Getting up at the same time every day helps you work with your body’s natural rhythm. Perhaps even more important than a set daily wake up time is a to go to bed at the same time every night. A dark, quiet, cool and comfortable environment is optimal for sleeping. Don’t miss the next section to find out more. How to create a relaxing sleep environment and routine. Install blackout curtains in the bedroom to block outside light, regulate air temperature, and help block noise. Keep a cool mist humidifier with an automatic shut-off for when the room is at an optimal humidity level between 30-50%. Read a fiction book or autobiography before bed. Eliminate screen time – no television, no Kindle, no computer. Keep a journal and pencil next to the bed in case any wonderful ideas or things you have to do pop in your head near bedtime or even in the middle of the night. That way, there’s no anxiety about the next day or worry about forgetting your awesome idea. Now, that might look like a lot to do, but just keep it simple. Here is what I do, shut off all electronics two hours prior to bed, tidy up the house, read a chapter of fiction, then journal 3 things that went well for the day. It’s a very simple process that makes a huge difference in how restorative your sleep can be. Do you have nay tips to getting a better nights rest? Please leave a comment below.